Anheuser-Busch InBev, the world's largest beer company, and SABMiller, the world's second largest beer company, won't be combining forces to create one giant beer company—yet. SABMiller has rejected its third offer from AB InBev this month, suggesting in a statement the price was too low: "[AB InBev] very substantially undervalues SABMiller, its unique and unmatched footprint, and its standalone prospects." AB InBev was willing to cough up $104 billion for its rival. In a release detailing its latest proposal, AB InBev said it was "disappointed that the board of SABMiller has rejected both of these prior approaches without any meaningful engagement." Though this is the third rejection, it seems likely the companies could come to an agreement. SABMiller's largest shareholder with more than a 25 percent stake in the company, tobacco giant Altria Group, would reportedly have "supported a deal at or above the proposed price." Both beer giants have recently made significant shifts with their marketing. 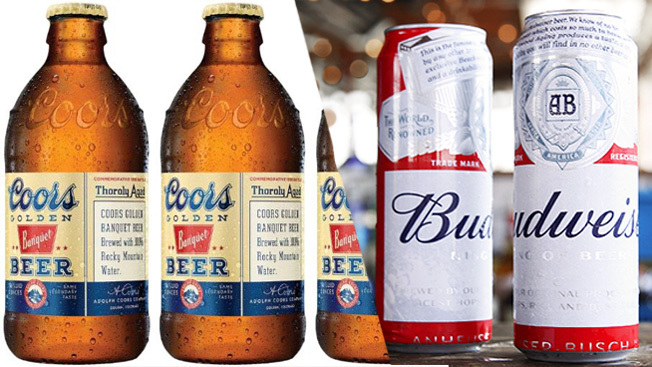 MillerCoors tapped 72andSunny just last week, while Budweiser enlisted Wieden + Kennedy earlier this summer. If AB InBev and SABMiller can come to an agreement, some of the world's most recognizable beer brands would be housed under the same roof including AB InBev's Budweiser, Corona and Stella Artois, and SABMiller's Miller Lite, Peroni Nastro Azzurro and Grolsch.